Hey guys! I hope you're waking up this Monday morning as happy as I am. We had one of those picture-perfect weekends... beautiful weather, a girls night with my best friends, visiting the local farmers market and park with our neighbors, eating peach popsicles with a naked HDawg on the back porch, dinner with family... it really couldn't get any better! 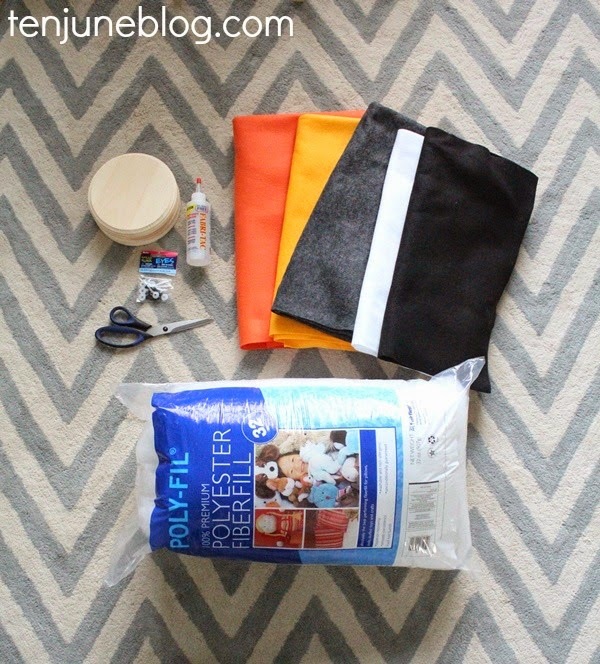 Today I'm sharing a fun do-it-yourself tutorial for a kids room or nursery project. 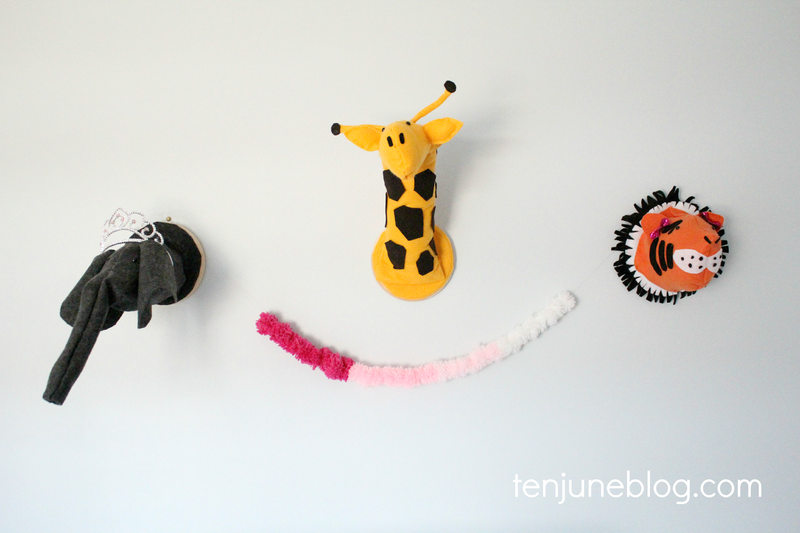 I created this little felt stuffed animal menagerie for Little Lady June's nursery. I had previously seen something similar for sale online at a way too expensive price of $75 each. So I had to make my own for my girl. Well, I have to be honest. I didn't actually craft these up for June bug, but for the male version of her, ha! When we thought our second baby was a little boy, I planned a little boy nursery (duh) which included a few zoo animal pieces. I worked diligently to create these cute little animals for baby boy. Once we learned at 34 weeks pregnant that baby boy was actually a baby girl, I started planning LLJ's super girly pink and gold nursery. The felt zoo animals didn't exactly fit into the design scheme. I thought about putting them in HDawg's room, but then decided against it. Boy or girl, I created these adorable little animals for baby number two. So I simply added a few girly tweaks to the animals, like a tiara and pink glitter bows, and put them in LLJ's nursery. I have to be honest, though, even once the animals were on the wall I didn't love them in the room. They just didn't "go!" But guys, I'll tell you what... she loves them. Seriously. It is so adorable. I have never seen a newborn so enthralled with anything. Every time I lay her on her changing pad, she giggles. 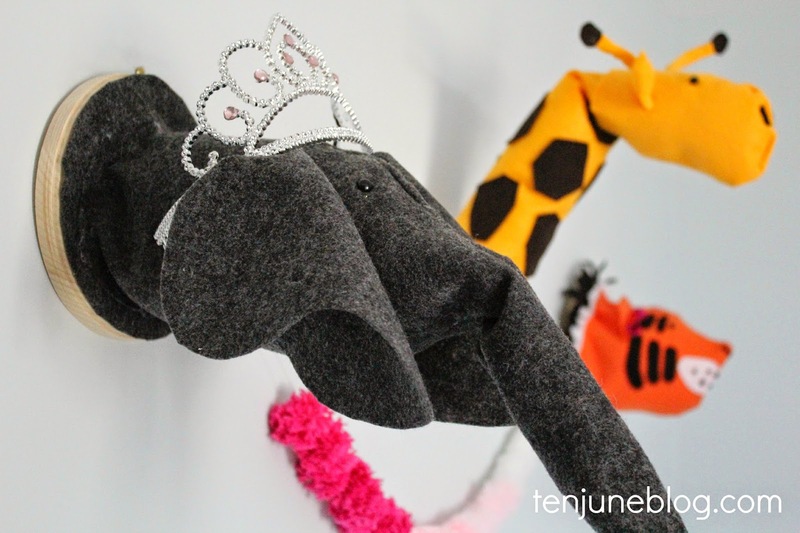 These stuffed animal heads were definitely made for her and her room! With that said, these little guys would be so adorable for any nursery, kids room, play room or even classroom! Here's the tutorial! I free-handed the shapes for each animal, but here are the general patterns I used. 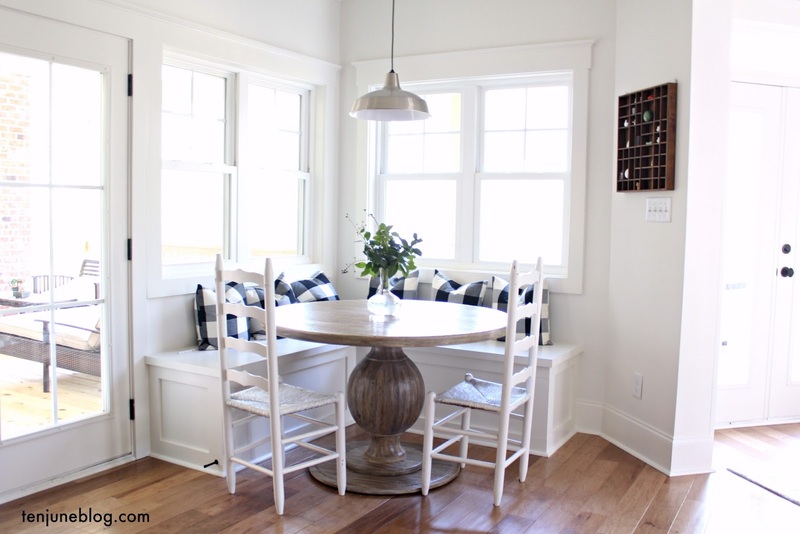 You can click on each photo to enlarge in order to see more details. You need to cut two identical shapes for every piece. I simply used fabric glue to piece together the animals. I figured it could get really difficult trying to put these tiny, erratically shaped pieces through the sewing machine. 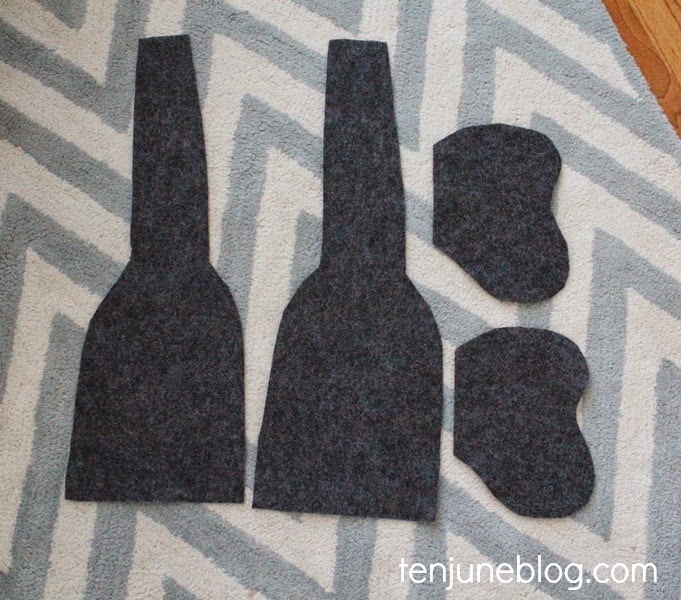 Outline the outer edges of each shape with fabric glue and match to it's other side. Don't glue the middle so that you can stuff it. 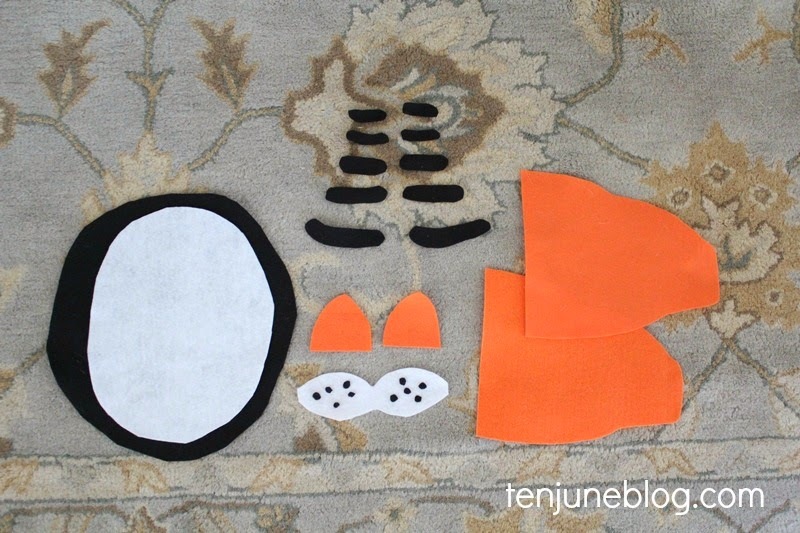 When the glue dries, fold back the pieces and fill with poly stuffing. 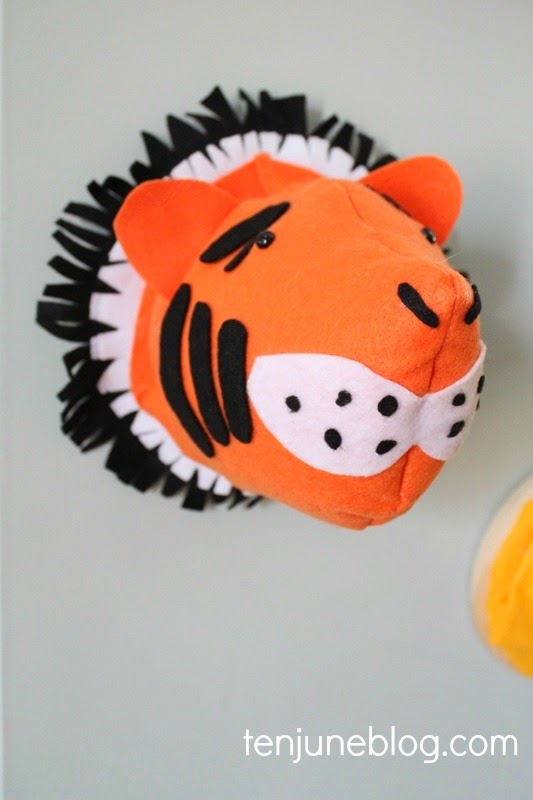 Once you've got the main body of each animal stuffed, you can glue on the accessories like the eyes, elephant ears, giraffe spots, tiger nose, etc. Finally, I covered a wooden circle plaque with felt (in the color that matched each animal) and glued the back of each animal to the base. 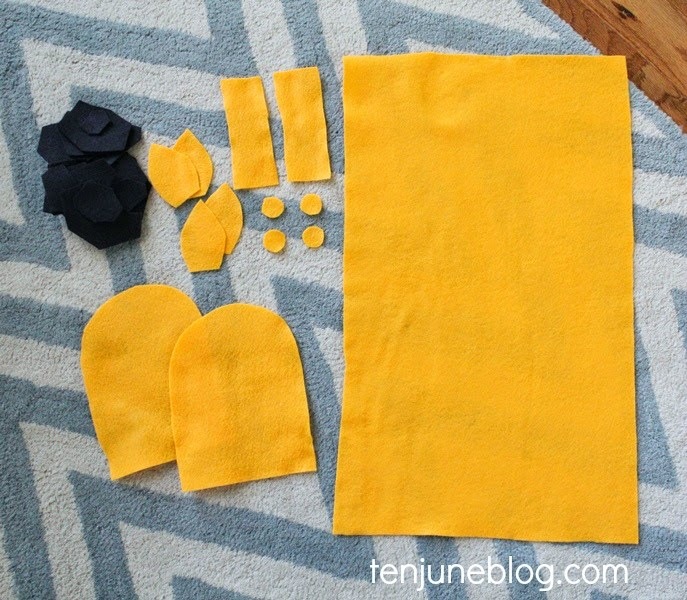 Just fold back the pieces of felt and glue to the circular base. I created a giraffe, an elephant and a tiger, but you can create any animals you'd like! ...or maybe the floppy eared elephant? Okay, the tiger is pretty cute, too. I love how this project turned out and I love that my baby is obsessed with them, too! 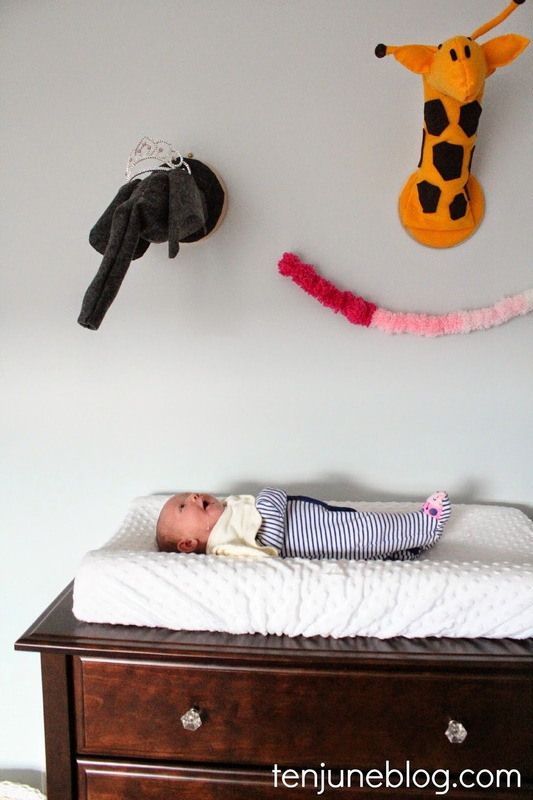 Check out some of the other DIY projects and posts from Little Lady June's nursery! So cute! Love the tiara on the elephant. They look like they would be way more difficult to create! This is so cool! What a cute idea!